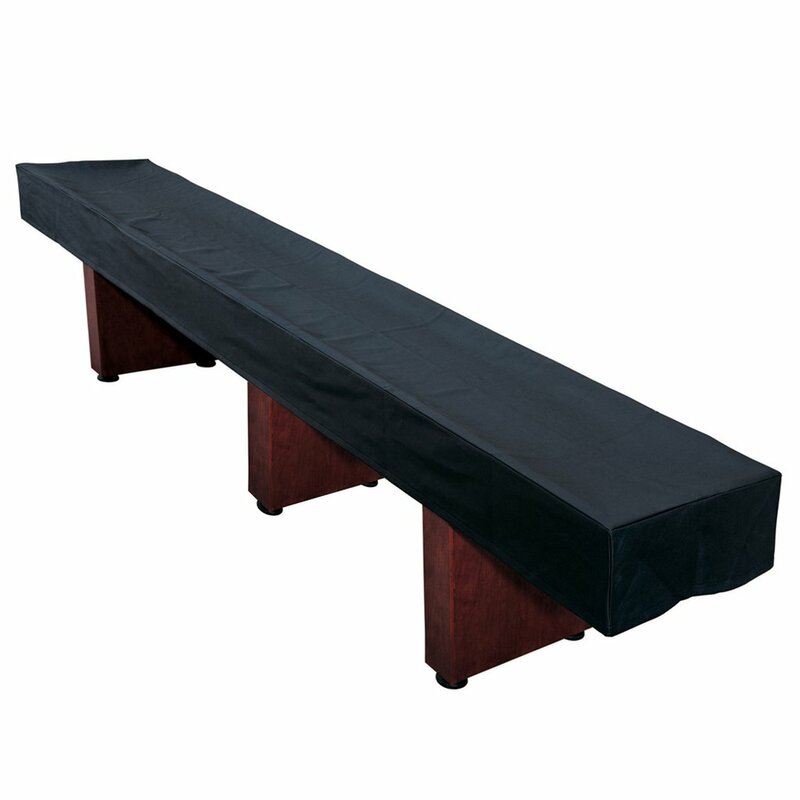 This Black Shuffleboard Table Cover will protect your table and keep it clean while not in use. Available in 9', 12' and 14'. Made of heavy-duty, synthetic leather and backed with a soft cotton fabric lining, this cover will not only protect your table but will last for years and years. Keep your glossy play surface free of dust by employing the Shuffleboard Table Cover.